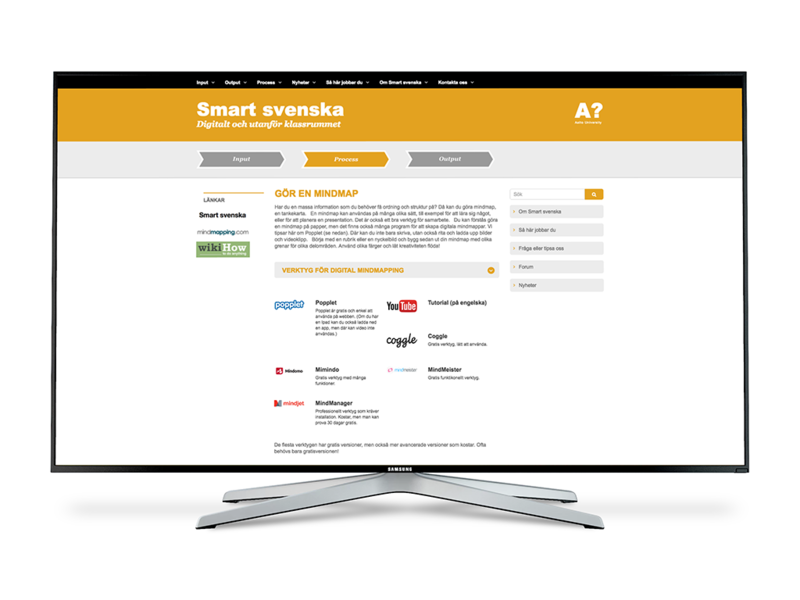 A Swedish language learning platform project made for Aalto University. The aim of the project is to create a platform with smart solutions that will motivate the students to learn Swedish in a digital environment and outside the classroom. We want to give the students tools to work independently, to improve their language skills in their own field and to learn working life skills. We have created a bilingual website Swedish/Finnish, which functions as a platform for studying Swedish at different courses at Aalto or independently. The platform is open for all internet users, but some special tools and sites are behind Aalto passwords. This project is made for Aalto University.